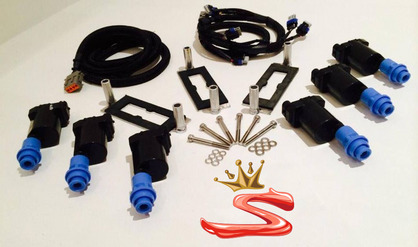 Electronics // Ignition // Wiring Harness Loom - SOLVE THAT HIGH BOOST MISS WITH OUR 2JZGTE IGNITION UPGRADE KIT. A SOLUTION THAT WORKS! Is your 2JZ having misfire issues at higher boost? Are you tired of constantly swapping out spark plugs and regapping them to ridiculously small levels? For those running higher boost we've found that our King Spark kit is the best overall solution for the issues mentioned above. We start with the very best OEM ignition coils ever made, bar none. These have supported well over 1000 rwhp on all sorts of different cars (including the fastest Mk3 Supra in the world) and can run with plenty of dwell. A great replacement for old failing stock ones! We provide everything you see in the photo's, mounting brackets, wiring with connectors, either tested used or new (your choice) and a set of solid instructions for the mounting and set-up of your LQ9 King Spark system. Optionally available is whats we've found to be one of the best plugs is our NGK Iridium spark plug (6 plugs). We supply these in -7 heat range, but other options are available if you have a specific preference. These are designed for resistor plugs only, do not use a non-resistor plug with the King Spark system. The standard plug being used is the NGK or equivalent BKR7E, but other options and heat ranges can be used depending upon your modifications, compression, fuel requirements, etc. If using an NGK you want a plug with the "R" in its nomenclature as this designates a 'resistor' plug. These fit perfectly in 2JZ-GTE and 2JZ-GE engines. 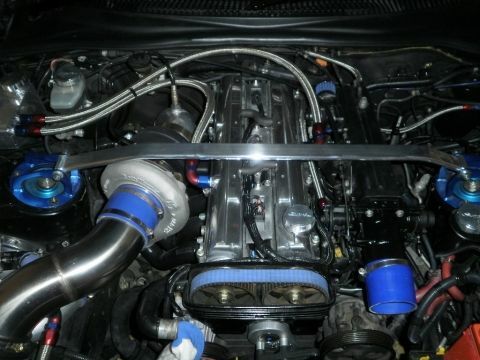 1JZ engines require some modification for them to fit in the valley. Installation is not plug-and-play, but involves connection of only 8 wires to the igniter's two connectors. 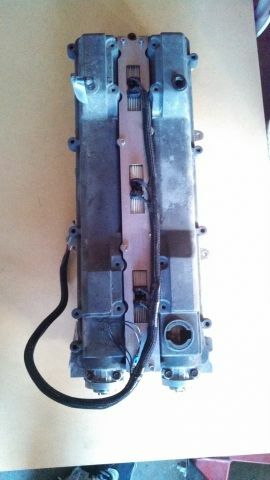 The igniter and the stock coil harness are eliminated. Installation instructions are included. Please note that the GE heads, both VVTI and the distributor types, require a front facing intake manifold to utilize these coils, as the middle two coils do not fit under the Y-pipe throttle body. 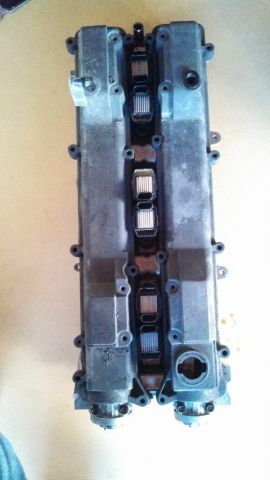 If you have GTE valve covers on a GE head, the GE bracket will require longer standoffs to fit. These coils will work with the stock GTE ECU, but you would need an IGF box to synthesize the required IGF signal back to the ECU.